One can predict with a high degree of certainty what high-ranking DOJ officials will say about the Foreign Corrupt Practices Act before even hearing or reading the speech (and I say that based on highlighting on these pages over 100 FCPA enforcement agency speeches since 2009). 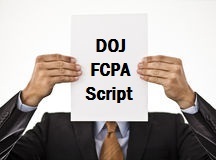 The script goes like this: the DOJ places a high-priority on FCPA enforcement as well as transparent enforcement; the DOJ is committed not just to corporate enforcement, but holding individuals accountable as well; and companies benefit from voluntary disclosure and cooperation. New DOJ Deputy Assistant Attorney General Trevor McFadden delivered the script recently in this speech. However, if you want to know how McFadden really feels about DOJ enforcement of the FCPA you might want to review his recent writings on the topic highlighted in this recent post. 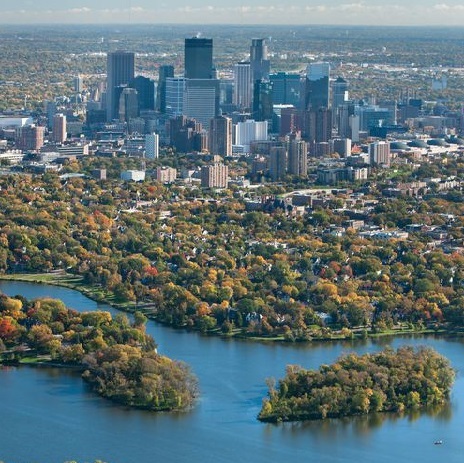 “Th[e] boost in FCPA enforcement has been driven by a number of factors. Among them, the FCPA Unit, which was formally created within the Fraud Section in 2005, has grown. In the past year and a half, 10 prosecutors were added to create the current team of 31 attorneys, including attorneys with significant litigation experience from other DOJ components and elite private firms. The FBI has also established three new squads of special agents devoted to FCPA investigations and prosecutions. Another reason for the general increase for FCPA enforcement is what McFadden and his co-author previously stated in this 2015 article and highlighted in the prior post. In his recent speech, McFadden stated as follows regarding individual accountability. “[T]here has been a growing emphasis on the importance of holding not just companies, but individual actors responsible for corporate misconduct. Naturally, corporations can only act through individuals, and to change the attitudes and conduct of corporations, we must change the attitudes and conduct of their employees, particularly those in leadership roles. In his recent speech, McFadden stated as follows regarding transparency. “The Department has also been making efforts to increase transparency regarding how we operate, as well as how we approach prosecutions and resolutions. Not long ago, in 2012, as part of the effort to increase transparency, the Department and the Securities & Exchange Commission published a “Resource Guide to the U.S. Foreign Corrupt Practices Act,” in an effort to educate companies and individuals about the FCPA’s requirements. What McFadden’s speech (when viewed against the backdrop of his prior FCPA writings) once again highlights is whether anyone at the DOJ is expressing genuine beliefs about the FCPA and willing to be held accountable for what they previously said and wrote about. (See here for the 2015 post titled “In the FCPA Space, Who Speaks for Whom?”).